It's hard to get into the best spam filter reviews. Fortunately, there are anti spam products which provide features that land it among the best spots in anyone's list. These anti spam solutions provides a robust protection system layered with different technologies to combat spam. SPAMFighter boasts a bevy of features you’d want to in an anti spam solution. To be straight to the point, SPAMFighter has all the great features that make it a star of the best spam filter reviews. It intelligently separates spam from your regular emails and does this through a community-maintained spam list. The program integrates well with your address book and automatically adds your contacts to a whitelist. Cloudmark DesktopOne is one of the direct competitors for the best anti spam solutions according to its best spam filter reviews. The program natively works in your computer and works its anti spam magic by downloading your messages straight into your computer and then separates your regular mail from the unsolicited messages. What’s awesome about the program is it is able to protect you from the malware lurking in your inbox quite effectively. According to the best spam filter reviews, SpamBully is a reliable anti spam solution as it relies on Bayesian filters to do its job. Bayesian filters make use of artificial intelligence to determine if a message is spam or not and this, paired with a constantly updated blacklist, efficiently takes down spam and pushes it towards the SPAM folder so you don’t have to see it. This is one of the great game changing features that the best spam filter reviews rave about. SpamBully should be one of the programs on your list. Mailwasher Pro works well against unsolicited messages according to the best spam filter reviews because of its ruthless efficiency in combating the said messages. 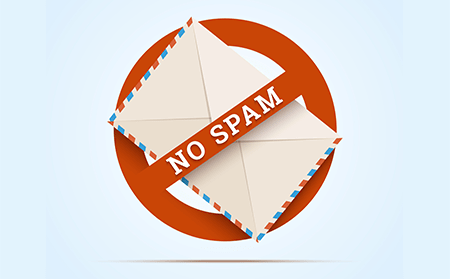 The program works on the server level and employs several layers of protection against spam.What subscribers love about this particular service is that they don’t have to see any of the spam in their inboxes. The service works efficiently in the background and thus unburdens its subscribers of the chore of having to tag any email as spam. This particular quality saves its customers a great amount of time and makes email checking a lot more convenient and efficient. What is great about CleanMail is that it has a delay spam feature which actually staggers the delivery of spam messages into your inbox and gives you that much needed breathing room before you have to see any of their subject lines. This feature plus a multitude of other layered solutions makes CleanMail a hit among enterprises and individuals alike. CleanMail also provides a whitelist which protects your contacts’ messages from being tagged as spam. All in all, CleanMail provides a good, efficient, and reliable service for those who want to be rid of spam. As should be obvious, Comodo Anti Spam is the best free spam remover in the market. What separates it from the rest is it utilizes diverse layers to battle spam. Messages go through a few email channels and against spam arrangements before getting filtered by the Comodo Antivirus and Valkyrie File Verdict System. This enemy of spam framework is set up in a way that it keenly learns and adjusts to new spam methods and more current malware. The messages which originate from sources the organization or their email security benefit trusts gets auto whitelisting. Mail perceived as spam winds up in isolate. This a refined enemy of spam arrangement. Because of these advanced layers, Comodo Anti Spam ought to be in your best spam channel audit list. On the off chance that you or your organization need to encounter what our product brings to the table or you are making a best spam channel, if you don't mind connect with one of our agents. Comodo Anti Spam can build you and your organization's profitability when you utilize it to battle spam. Do you know that we also provide free live demonstrations of our products to prospective customers? If you want to find out more about Comodo Anti Spam, please get in touch with one of representatives today.